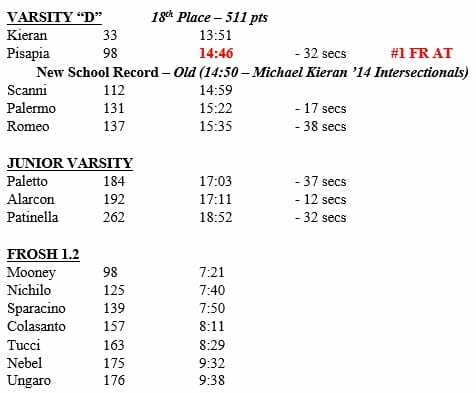 Freshmen Corey Pisapia breaks the 2 year school record in the VCP 2.5 mile course with a time of 14:46. The former record of 14:50 was held by junior Michael Kieran. Rob Romeo runs a big PR of 15:35.